Our standard high-quality eco-friendly products can be customized to compliment your packaging process. 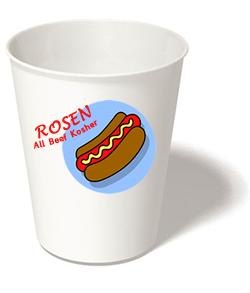 TPS can print up to six colors of your supplied artwork on our high-quality eco-friendly beverage and soup cups. TPS can design and manufacture custom shapes and sizes of compostable trays and containers. TPS can create custom sizes and provide custom printing on our eco-friendly compostable trash bag line. Bag color can also be customized using custom color resins. TPS offers comprehensive services to develop custom solutions for vacuum and MAP processing facilities. Let’s talk about your custom packaging needs! Please contact us for a consultation where we can provide you with our capabilities and any minimums or restrictions that may apply.